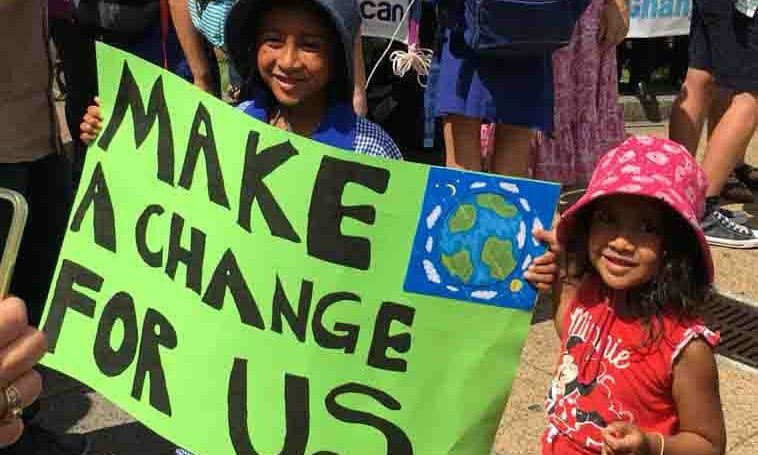 10,000 students and supporters, including local Anglicans, marched into Queen’s Park in the Brisbane CBD on Friday 15 March, as part of the international Student Strike for Climate Justice. Primary and secondary Anglican, Catholic, Independent and State school students from across Brisbane and the wider region participated, with some travelling long distances to take part. The students were supported by parents, grandparents, professionals and people of faith, from all walks of life. 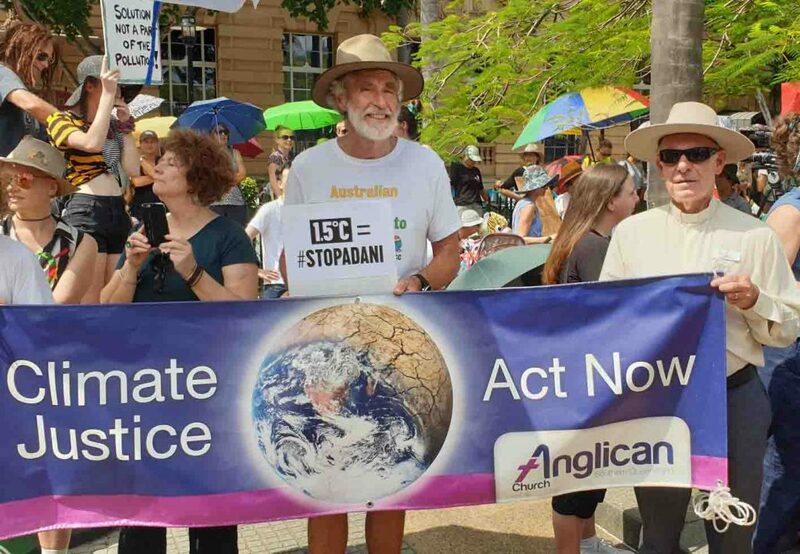 Ahead of the event, the strike was supported by a range of Anglican leaders around the country, including Bishop Philip Huggins, the current President of the National Council of Churches in Australia, and locally by Bishop John Roundhill. The Very Rev’d Dr Peter Catt, Dean of St John’s Anglican Cathedral, called on fellow Christians to support the march. “The students taking part in the Climate Strike are like the child in the story of The Emperor’s New Clothes, Dr Catt said. Overseas, The Daily Mail reported that the Church of England, which is the country’s largest sponsor of schools, saw its General Synod back the school strike, at the same time it voted to “step up its environmental program in response to the escalating threat of climate change”. 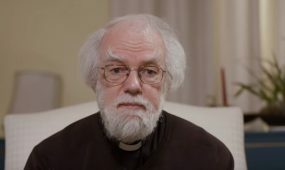 Speaking from a more global outlook, the former Archbishop of Canterbury, Dr Rowan Williams, also backed the student strikes and issued a sharply urgent message. “It really isn’t an exaggeration to say the future of the human race, is now at stake,” Dr Williams said. “The nature of the changes in climate and environment that we’re living with, threaten not only the wellbeing, and possibly the very being, of our species on this planet in the long term, and in the middle term they threaten some of the most vulnerable populations on earth. “It is not at all surprising that people in this urgent situation feel they’ve got to take nonviolent direct action, they’ve to find a way, of putting the case, for the human race, before those in power. We have faced a torrid summer. 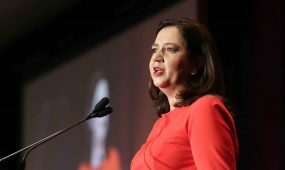 From the horrific fires in Northern NSW and around Mackay, to the drought across regional Queensland, the huge floods around Townsville and multiple turbo-charged cyclones across Far North Queensland. The impacts of our changing climate are becoming ever more apparent to us all, as these events increase in frequency and intensify Australia’s already serious weather events. Our young people, our school kids, are being compelled to take to the streets, offering a prophetic voice, and calling on adults to act. The challenge for us now, and especially during this Lenten season, is reflect on these developments, to consider, how are we to respond? There are two events coming up and all are welcome to attend! A conversation over wine and cheese, with guest Dr Mick Pope, meteorologist, theologian and writer, and hosted by Bishop John Roundhill. Friday April 5, 6.30pm – 8pm. Old Bishopsbourne, St Francis Theological College, Milton. A workshop presented in collaboration with the Community of the Way, which will explore the theology of climate justice, the Christian tradition of NVDA, and where the two might meet in prophetic words and actions. Saturday April 6, 10am – 1pm. Old Bishopsbourne, St Francis Theological College, Milton.